My friend Chuck wants to kill himself. He is hoping if Bill C-14 does not pass in the Senate by June 6th, he will be able to legally commit suicide with the help of a doctor, thereby ending his constant, debilitating and painful battle with mental illness. Chuck is part of a group of patients who, despite being included in the Supreme Court of Canada's ground-breaking decision in Carter vs. Canada, have been cut out of the Liberal's Bill C-14. Here's why. My friend 'Chuck' wants to kill himself. He is hoping if Bill C-14 does not pass in the Senate by June 6th, he will be able to legally commit suicide with the help of a doctor, thereby ending his constant, debilitating and painful battle with mental illness. Chuck is part of a group of patients who, despite being included in the Supreme Court of Canada's ground-breaking decision in Carter vs. Canada , have been cut out of the Liberal's Bill C-14. Chuck wants to take advantage of what both Health Minister Jane Philpott and Justice Minister Jody Wilson-Raybould have referred to as a legal gap that will exist post June 6th if no legislation is implemented on physician assisted dying (PAD, also known as MAID, medical assistance in dying). However, just because there won't be a national legal framework for PAD, doesn't mean Canada will be in a legal limbo and certainly doesn't warrant rushing a decision. Even former Prime Minister Paul Martin and former interim Liberal Leader Bob Rae agree on this point. In Carter, the Supreme Court found those with a "grievous and irremediable medical condition", who are enduring intolerable suffering and have clearly consented to terminating their lives, should legally be allowed to do so with medical help. Conversely, Bill C-14 has a much more restrictive definition where the patient must have an advanced stage of "irreversible decline" and their natural death has become "reasonably foreseeable". So under Carter's broad description, patients suffering with mental health issues would be entitled to PAD, but under Bill C-14 they would not. The court gave the government until June 6th to create new legislation. The Act has already passed in the House. Some Senators however, have made it clear they're in no rush to vote on something that doesn't necessarily follow the spirit of Carter. If that's the case, Chuck may get his wish, nevertheless, it's not a done deal. In the absence of any legislation, the landmark ruling governs. Therefore, guidelines set out by Canada's provincial and territorial medical regulators will apply and no surprise, they almost all rely heavily on the eligibility requirements set out in Carter. The Supreme Court referenced R vs. Morgentaler  in Carter. It was a similarly highly emotional and pivotal case, but on abortion. 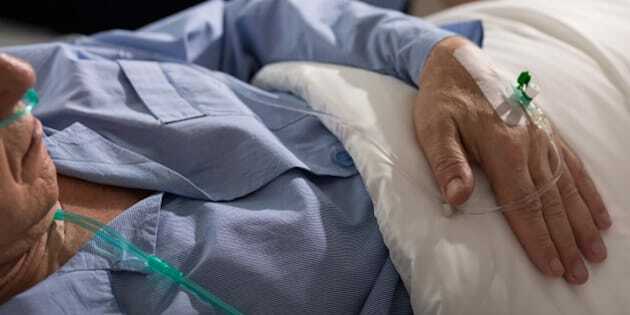 The court acknowledged that just like with abortion, a physician's decision to participate in assisted dying is a matter of conscience and, in some cases, of religious belief. Canada's largest medical regulatory authority, the College of Physicians and Surgeons of Ontario is concerned about the inconsistencies on what a "grievous and irremediable medical condition" is based on Carter versus Bill C-14. It's also concerned about minors and the Act's requirement that patients must be over the age of 18. That contravenes Ontario's current consent legislation that patients are considered "capable" to make decisions if they can understand the consequences of making such a decision. Nearly one year after Carter was decided, the advocacy group Dignity with Dying polled Canadians and found 85 per cent agreed with the decision. They also found that 8 in 10 Canadians believe that advance consent for PAD should be legal. That means when a patient has a diagnosis of, for example, dementia, but they are still competent, they can give a doctor consent in advance to assist in their death once they are no longer competent. Living wills touch upon this. They outline one's wishes regarding medical treatment when they are no longer able to express themselves. Currently, these are not legal documents. However, what if the government could change that? If 80 per cent of Canadians already support advance consent, just imagine how that will increase in ten years' time as more baby boomers are diagnosed with Alzheimer's and may want to start preparing for their inevitable demise? The only reference in Bill C-14 to advance requests, mental health and mature minors is in the preamble. There it states the government "has committed to develop non-legislative measures that would explore other situations." That means what exactly? The Act also states on the 5th anniversary of the legislation, a committee will review the Act and will submit a report setting out any changes it recommends. And then what? Any guarantee those recommendations will be implemented? These are all issues the Senate is currently debating and are concerned about. It's pretty amazing that after years of Senate scandals and questions about whether there was even a point in having a Senate, the red chamber is finally highlighting its need: the place for second sober thought. I hope Chuck is not able to find a doctor who will help him take his life. It is a selfish point of view because he is a friend and I can't comprehend what it's like to be in chronic mental agony. None of us, including myself, should judge what others may do when faced with a grievous and irremediable medical condition. Nevertheless, it looks like in this legal "no man's land" the Ministers suggest we are about to enter, Chuck just might get his wish.